Addison Lee Group, the global ground transportation business, and Oxbotica, the British leader in self-driving vehicle software, have agreed a wide-ranging strategic alliance that accelerates the implementation of autonomous vehicles to London’s streets. 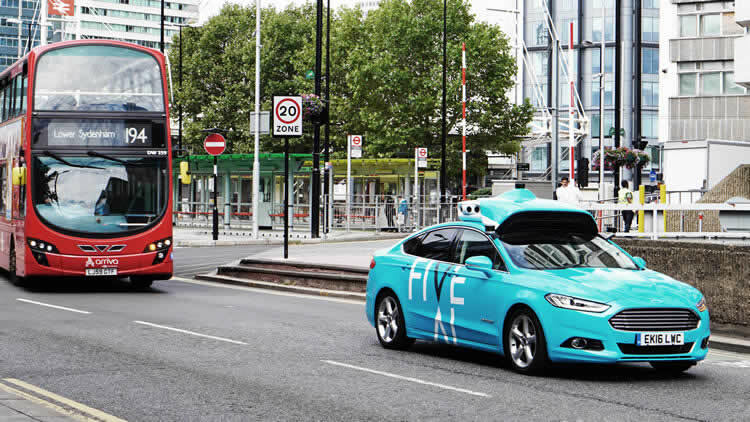 Under the agreement, the two companies will collaborate on the development, deployment and operation of autonomous vehicles with a view to providing customers self-driving services in London by 2021. The long-term aim is to take greater share of an expanding car services market for connected autonomous vehicle technology, forecasted to be worth £28 billion in the UK by 2035*. Addison Lee Group aims to use its trusted brand to offer affordable, quality, ride-shared services to passengers currently underserved by existing driven transport modes, as well as explore opportunities to provide corporate shuttles, airport and campus-based services. Addison Lee Group and Oxbotica, both British success stories, will pool expertise, technology and on-the-ground resource to explore self-driving car services that are safe and environmentally friendly, and which still deliver the exceptional customer experiences Addison Lee Group is known for. The companies will work together to create detailed, digital maps of more than 250,000 miles of public roads in and around the capital. These maps will record the position of every kerb, road sign, landmark and traffic light in preparation for the deployment of autonomous cars. With private car ownership declining at the same time city populations are expanding, consumers are increasing their use of car services. Added to that, the global transport services market is experiencing significant growth – specifically for the premium segment, which shows strong growth of up to 21 per cent by 2030*. This provides an opportunity for focused investment in future-looking technologies that, alongside traditional driven vehicles, will help meet this need. By leveraging the strengths of each partner, the alliance will open new opportunities to reach consumers in new markets and segments starting in London, following into New York and other international markets. Andy Boland, CEO of Addison Lee Group, said: “Urban transport will change beyond recognition in the next 10 years with the introduction of self-driving services, and we intend to be at the very forefront of this change by acting now. Addison Lee Group recently set up and led the MERGE Greenwich consortium, a government-funded project investigating how autonomous vehicle ride-sharing could be introduced to complement existing public transport services. Using the London Borough of Greenwich as a model, the project found that by 2025, self-driving, ride-shared services could assist significantly with addressing the capital’s transport challenges and make it easier and more accessible for citizens to move around. In parallel, Oxbotica is leading the DRIVEN consortium, and has already launched a fleet of vehicles currently running autonomously in public trials in London and Oxford. This entry was posted in Autonomous Vehicles and tagged Addison Lee, autonomous vehicles, Autonomous vehicles London, Oxbotica, self driving cars on October 22, 2018 by Tim Cosgrove. 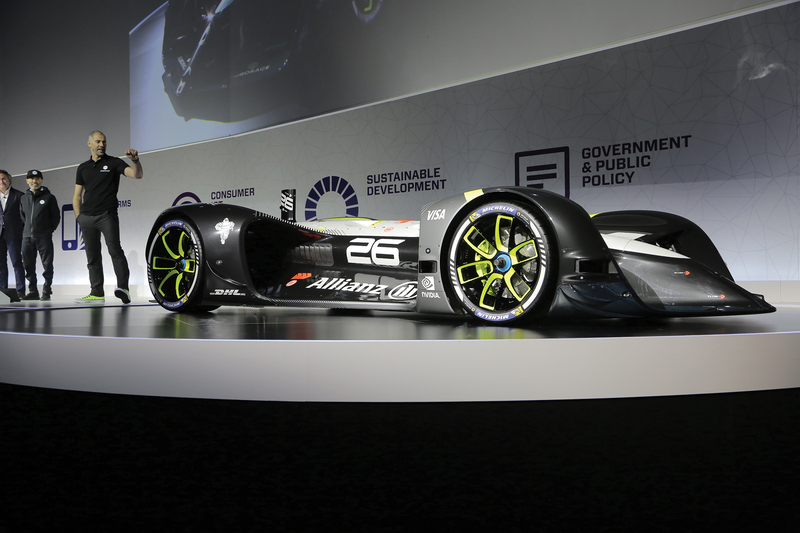 Roborace unveiled its Robocar at MWC’s ‘Connected Vehicles’ keynote, with CEO Denis Sverdlov stating the initiative will push the industry to improve driverless and autonomous vehicles. He also believes driverless car racing will help people accept robots on the street, and is a great way to show the public the benefits of artificial intelligence (AI). “It was very important for us that we created an emotional connection to driverless cars and bring humans and robots closer together to define our future,” he said. Software engineers will be the “true heroes” of the initiative, which is a “fair competition” of intelligence rather than budget, as all teams have the same Robocar to work with – in order to win they have to focus entirely on the software. So far, Roborace has performed demos with ‘Devbots’, which completed 12 driverless laps in Morocco. Despite a recent crash, Sverdlov is confident in the technology, adding that accidents will only help improve learning. The car, designed by Daniel Simon, who created vehicles for Hollywood sci-fi films like Tron Legacy, uses a number of technologies to drive itself including two radars and six AI cameras, and makes up to 24 trillion AI operations per second. The Roborace series takes place on Formula E city street circuits. Alejandro Agag, CEO of Formula E, said all the big auto companies, like Audi, Renault and Mahindra, want their teams to win and this pushes them to invest resources into improving electric cars, and this will play a big role in boosting the autonomous car industry. This entry was posted in Autonomous Vehicles, Connected Cars and tagged Alejandro Agag, autonomous vehicles, Connected Vehicles, Daniel Simon, Denis Sverdlov, FIA formula e, Formula E, Mobile World Congress 2017, MWC, Roborace on February 28, 2017 by Tim Cosgrove. The TSC has successfully tested its self-driving vehicles in public for the first time in the UK. The demonstration of a UK developed autonomous driving system marked the conclusion of the LUTZ Pathfinder Project, which has been developing the technology for the past 18 months. The project team has been running a number of exercises in preparation for the demonstration as part of the LUTZ Pathfinder project, including virtual mapping of Milton Keynes, assessing public acceptance, conducting the necessary safety planning and establishing the regulatory environment with the support of Milton Keynes Council. The autonomy software running the vehicle, called Selenium, was developed by Oxford University’s Oxford Robotics Institute and integrated by Oxford University spinout company Oxbotica on to an electric vehicle. Selenium uses data from cameras and LIDAR systems to navigate its way around the environment. The vehicle demonstration took place on pavements around Milton Keynes train station and business district. In the future it is expected that vehicles like those demonstrated in Milton Keynes will be used for local transportation in urban areas. “Through the LUTZ Pathfinder project we have started to create a world leading urban test bed for connected and automated vehicles. We can now capitalise on the unique position of having the environment and the development platform to conduct further research and trials. “Today’s first public trials of driverless vehicles in our towns is a ground-breaking moment and further evidence that Britain is at the forefront of innovation. This entry was posted in Autonomous Vehicles and tagged autonomous vehicles, driverless cars, LIDAR systems, Oxford Robotics Institure, TSC on October 17, 2016 by Tim Cosgrove. Uber has acquired Otto, a 90-plus person technology startup whose mission is to rethink transportation, starting with self-driving trucks. Anthony Levandowski, Otto’s co-founder, will now lead Uber’s combined self-driving efforts reporting directly to Travis Kalanick—across personal transportation, delivery and trucking—in San Francisco, Palo Alto and Pittsburgh. This entry was posted in Autonomous Vehicles and tagged autonomous engineering, autonomous transportation, autonomous vehicles, Otto, self driving trucks, Travis Kalanick, Uber on August 22, 2016 by Tim Cosgrove. The initial tests will involve vehicle-to-vehicle and vehicle-to-infrastructure communications technologies that will allow cars to talk to each other and roadside signs, overhead gantries and traffic lights. Ultimately, data sharing between vehicles would allow future connected cars to co-operate and work together to assist the driver and make lane changing and crossing junctions easier and safer. Our connected and automated technology could help improve traffic flow, cut congestion and reduce the potential for accidents. We will also improve the driving experience, with drivers able to choose how much support and assistance they need. In traffic, for example, the driver could choose autonomy assist during tedious or stressful parts of the journey. But even when an enthusiastic driver is fully focussed on enjoying the thrill of the open road, the new technology we are creating will still be working in the background to help keep them safe. Because the intelligent car will always be alert and is never distracted, it could guide you through road works and prevent accidents. If you are a keen driver, imagine being able to receive a warning that there’s a hazard out of sight or around a blind bend. Whether it’s a badly parked car or an ambulance heading your way, you could slow down, pass the hazard without fuss and continue on your journey. ROADWORK ASSIST uses a forward-facing stereo camera to generate a 3D view of the road ahead and together with advanced image processing software, it can recognise cones and barriers. The system will sense when the vehicle is approaching the start of the roadworks, identify an ideal path through complicated construction sites and contraflows, and inform the driver that the road is narrowing ahead. The system will then apply a small amount of steering assistance to the wheel to help the driver remain centred in lane. Driving through congested roadworks can be a stressful experience for many people – especially when the lanes narrow and switch to the other side of the road, or if road markings are faint, obscured or missing. To overcome this, our prototype system will guide the vehicle to the centre of the narrow lane, reducing driver workload and stress. With further research, in the future this system could enable the car to drive autonomously through road works. SAFE PULLAWAY: Getting too close to the vehicle in front in traffic jams or when entering junctions is a common cause of accidents. Low-speed collisions can also be caused by drivers hitting walls, garage doors or parked cars because they mistakenly put the vehicle into drive instead of reverse when attempting to pull away. OVER THE HORIZON WARNING is part of a research project testing devices that use radio signals to transmit relevant data from vehicle to vehicle. If vehicles were able to communicate independently, drivers and autonomous cars could be warned of hazards and obstacles over the horizon or around blind bends. Hearing the siren of an emergency vehicle but not being able to see which direction the vehicle is coming from can be stressful. Giving drivers the right information at the right time will also enable better and safer decision-making, and could reduce the potential for accidents. Emergency Vehicle Warning allows connected ambulances, police cars or fire engines to communicate with other vehicles on the road: a device in the emergency vehicle would broadcast that it is approaching before the driver could see or hear flashing lights and sirens. This entry was posted in Autonomous Vehicles, Connected Cars and tagged autonomous vehicles, CAV technologies, Connected Cars, jaguar landrover, Roadwork assist on July 14, 2016 by Tim Cosgrove. EU rules on safety approvals for new cars will need to be revised to include ‘driving tests’ for automated and fully-autonomous vehicles according to a new report from the European Transport Safety Council (ETSC). ETSC says the EU is far from answering the many research and regulatory questions that must be considered before automated and autonomous vehicles can be put on sale. The report says the priority must be ensuring that the promised safety benefits are delivered in real world driving. One challenge will be ensuring that autonomous cars sold in Europe are capable of following national road rules in 28 EU countries – hence the need for a comprehensive ‘driving test’ to independently verify that vehicles will operate safely under all conditions. Many questions remain over how autonomous vehicles will interact with other human-driven vehicles as well as vulnerable road users such as pedestrians and cyclists according to the report. In the short term, ETSC is calling on the EU to require mandatory installation of effective and proven driver assistance systems including Automated Emergency Braking and overridable Intelligent Speed Assistance in all new cars, and to develop a new EU framework for approving future automated technologies as well as fully autonomous vehicles. As well as safety approval rules for new cars, the report says EU driving license regulations will need to be updated to reflect the need for drivers to learn how to safely take back command from automated driving systems. EU rules on road infrastructure safety should also be revised to include requirements for automated and semi- automated vehicles such as clear road markings. ETSC also says carmakers must apply full openness and transparency in disclosing collision data for automated vehicles in order that the information can be used to help prevent future collissions. Earlier this year, the European Commission’s industry department launched ‘Gear 2030’ a high-level expert group to address future development of the automotive industry including issues related to automated driving. ETSC is represented on the group, and has emphasised that promotion of automated technologies must be based on sound evidence of safety benefits. This entry was posted in Uncategorized and tagged Antonio Avenoso, automated technology, automated vehicles, autonomous vehicles, ETSC. european transport safety council on April 27, 2016 by Tim Cosgrove. Ford is the first automaker to test fully autonomous vehicles in winter weather, including snow – a major step toward fully autonomous driving. Ford is conducting the industry’s first autonomous vehicle tests in snow-covered environments – a major step in the company’s plan to bring fully autonomous vehicles to millions of customers worldwide. Unlike other major car manufacturers and technology companies, which have tested autonomous vehicle technology only in dry, mostly sunny climates, Ford knows the future of autonomous driving cannot rely on ideal conditions. Ford’s winter weather testing takes place in Michigan, including at Mcity – a 32-acre, full-scale simulated real-world urban environment at the University of Michigan. Fully autonomous driving can’t rely on GPS, which is accurate only to several yards – not enough to localize or identify the position of the vehicle. And it’s key that an autonomous vehicle knows its precise location, not just within a city or on a road, but in its actual driving lane – a variation of a few inches makes a big difference. LiDAR, on the other hand, is much more accurate than GPS – identifying the Fusion Hybrid’s lane location right down to the centimeter. LiDAR emits short pulses of laser light to precisely allow the vehicle to create a real-time, high-definition 3D image of what’s around it. In ideal weather, LiDAR is the most efficient means of gathering important information and metadata – underlying information about the data itself – from the surrounding environment, sensing nearby objects and using cues to determine the best driving path. But on snow-covered roads or in high-density traffic, LiDAR and other sensors such as cameras can’t see the road. This is also the case when the sensor lens is covered by snow, grime or debris. Undaunted by this challenge, Ford and University of Michigan technologists began collaborating toward a solution that would allow an autonomous vehicle to see on a snow-covered road. To navigate snowy roads, Ford autonomous vehicles are equipped with high-resolution 3D maps – complete with information about the road and what’s above it, including road markings, signs, geography, landmarks and topography. An autonomous vehicle creates the maps while driving the test environment in favorable weather, with technologies automatically annotating features like traffic signs, trees and buildings. When the vehicle can’t see the ground, it detects above-ground landmarks to pinpoint itself on the map, and then subsequently uses the map to drive successfully in inclement conditions. Winter driving still presents a host of challenges, but Ford’s testing marks an important achievement on the road to autonomous driving. That road goes back roughly a decade, to the first-generation autonomous vehicle from Ford – a LiDAR-equipped F-250 Super Duty. In 2013, Ford launched its second-generation autonomous vehicle platform, a Fusion Hybrid sedan using more advanced LiDAR sensors. This past summer, Ford transitioned its fully autonomous vehicle development program from the research to advanced engineering phase, the second of three phases before entering production. Earlier this month, Ford announced it is taking the next step – tripling its fully autonomous development fleet to 30 vehicles being tested on roads and test tracks in California, Arizona and Michigan. This makes the company’s fully autonomous vehicle fleet the largest of all automakers. These third-generation autonomous vehicles continue to be based on a Fusion Hybrid sedan now featuring the first auto-specific LiDAR sensor capable of handling different driving scenarios – thanks in part to its longer range of around 200 meters. Building on more than a decade of Ford autonomous vehicle research, this advancement is a key element of Ford Smart Mobility – the plan to take Ford to the next level in connectivity, mobility, autonomous vehicles, the customer experience, and data and analytics. This entry was posted in Autonomous Vehicles and tagged autonomous cars, autonomous vehicles, Connected Cars, ford, Jim McBride, LiDAR, Mcity on April 19, 2016 by Tim Cosgrove. Self driving cars may seem years away, but more than 1.5 million UK motorists a year now leave showrooms in cars featuring self-activating safety systems, according to analysis revealed today by the Society of Motor Manufacturers and Traders (SMMT). This entry was posted in Autonomous Vehicles and tagged autonomous vehicles, Jato Dynamics, Mike Hawes, SMMT, UK Car Sales on March 31, 2016 by Tim Cosgrove.